The Springs Shopping Centre employee Colin Beswick is celebrating his 20th anniversary working at the retail destination. Colin joined the Buxton-based shopping centre after previously working within the security industry in Blackpool. Having started initially as a part time security guard locking up in the evenings, Colin was taken on full time by The Springs after a position became available. After quickly adapting to his role and improving his knowledge of how a shopping centre functions and operates, Colin was promoted to Security Supervisor and given more responsibility around the centre. He began to manage the centre independently and was eventually offered a role as Buildings Manager for The Springs. This was followed by a promotion to Operations Manager and finally to his present-day role of Assistant Centre Manager. When asked what he enjoys most about his job, Colin said: “It is often said in the shopping centre industry, but it’s so true- every day is different. The things you come across are never the same. 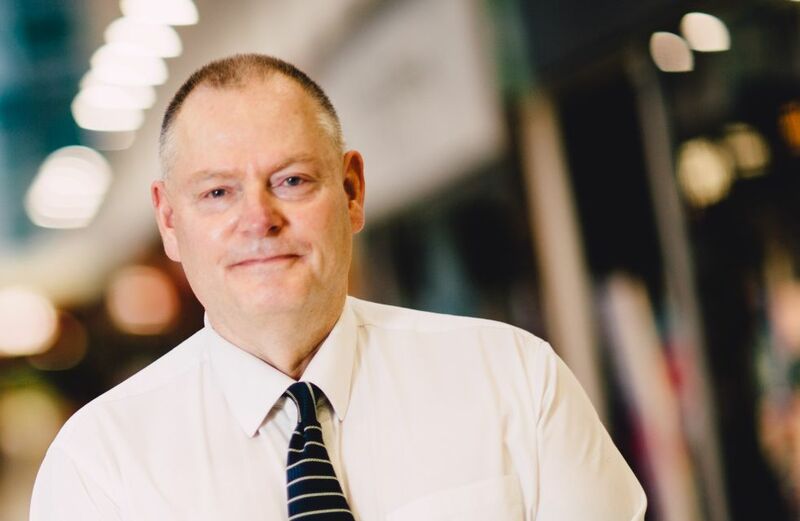 “I’ve had much satisfaction from the challenges working in a shopping centre brings, and I’ve worked alongside and met many lovely people over the years. Carlon Stewart, Centre Manager for The Springs Shopping Centre, said: “Colin has shown fantastic dedication to his role and his vast experience is invaluable to the centre. He is a familiar face around The Springs and always has time for people.